"Termination". 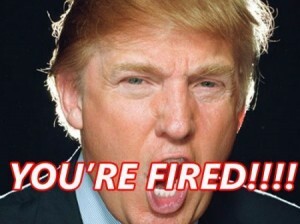 In the world of human resources, is there a word harsher than termination? As in: "Your presence is no longer required, nor is it wanted". There is really no job as unpleasant as terminating an employee. The task is thankless, uncomfortable, unwanted, and can, in some cases, even be dangerous, making termination one of the most stressful duties you will ever be asked to perform. To add insult to injury, the stress of firing someone can actually be exceeded by the stress that results if the termination was improperly or inadequately carried out. There's no shortage of lawyers happy to represent individuals in unemployment matters, discrimination claims, and wrongful dismissal lawsuits, making it vital to know how to terminate an employee effectively. Although your company/organization may do business in what is referred to as an "employment-at-will" state, that in and of itself won't automatically shield your employer (or, in a worst-case scenario, even you personally) from potential liability. Knowing how to terminate an employee effectively is, therefore, essential to both your well-being and that of your employer. This is as much about your organization's culture as it is about dealing with a particular individual. Supervisors should be trained, not simply encouraged, to provide honest feedback to employees, especially when conducting performance evaluations. All too often an employee not performing to standard is given a raise at the annual review in hopes that increased compensation will motivate him or her to improve. Not only will such improvement almost certainly not be forthcoming, you'll have difficulty making the employee understand why you're subsequently criticizing the level of performance you recently rewarded with a wage increase and/or promotion. Specify deficiencies. Do they include performance, conduct, attendance or some combination of the three? Part of knowing how to terminate an employee effectively is to correctly identify why. Review the job description. Compare it with the performance evaluations. If a supervisor has done his/her job, the reviews should detail the inadequate performance, unacceptable conduct, or poor attendance, enabling you to take the next step. If, however, you find in reviewing the job description and prior evaluations that the job the person is now doing has changed, you may need to rethink the decision to discipline and, instead, reframe the job and your point of reference. Nothing personal, it's strictly business. If the reasons for termination are in any way related to your personal feelings towards the employee, you're asking for trouble. Even the most inexperienced lawyer will be able to make a case that you fired his/her client for other than legitimate business reasons (e.g, race, gender, religion, etc.). Although keeping emotions out of the process is easier said than done, it's exactly what you should strive for. Otherwise, objectivity will suffer. Besides, the more emotionally invested you become, the more unpleasant/stressful the supervision of the particular individual will be. Performance Improvement Plan or Progressive Discipline? If you believe the employee can be salvaged, so to speak, use the former and focus on coaching improvement, not just identifying what needs to be improved. Put another way, to succeed a performance improvement plan should be implemented by using positive rather than negative feedback. Castigating is not motivating. And you are seeking to motivate, right? Progressive discipline should only be applied if it appears that the employee is unable or unwilling to improve. In either case: Document, document, document! Avoid generalizations. Provide sufficient details to reduce the need to rely on your memory down the road. Claiming that you employee's performance is inadequate without being able to both quantify and qualify the claim makes for a weak case for termination. Don't terminate via email, voice mail, or snail mail. Ever. Courtesy and professionalism (i.e., your reputation and that of your organization) require an in-person meeting even if the employee is simply told "We've discussed your performance/conduct/attendance before and we're terminating your employment because it doesn't meet the standards the job/this company require." In order to know how to terminate an employee effectively, you preparation for firing is only half the battle; what you say (and, of equal importance, don't say) is just as important. Don't get caught up in minutiae or rehashing specifics that have been previously addressed. If the discussion can be conducted in a clinical, dispassionate, and on-point manner, you'll go a long way towards keeping emotion out of it. Control of the meeting must be maintained. 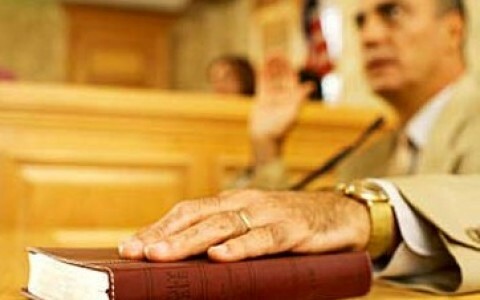 Always ensure that a witness is present at the termination. Former employees lie, especially those who have been, in their eyes, wrongly and unceremoniously dumped.. They do lie, much as we want to expect otherwise. Combine that truth with the fact that judges and hearing officers are usually required to view conflicting evidence in the light most favorable to the employee and you can understand why general assertions and vague recollections are hazardous to your company's well-being. While it may be costly, it's worth the investment to ensure that your organizations policies, employee handbooks, personnel evaluation forms, disciplinary notices, etc., are compliant with local, state and federal law, an essential component of knowing how to terminate an employee effectively.